Brinner : Bon Voyage, madame! I made an amazing find yesterday at one of my regular thrift stores! 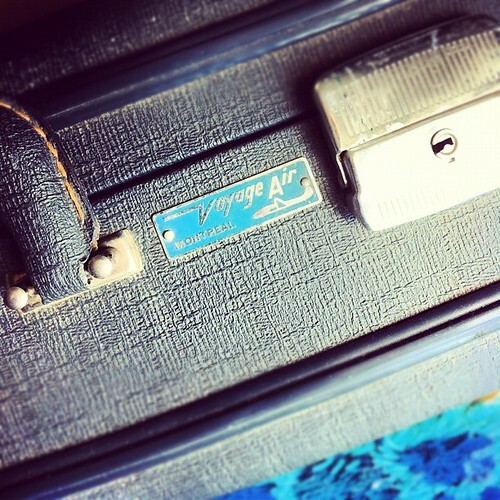 I've been on the hunt for a vintage suitcase ever since my first craft fair last December. (Ok, I might have been wanting one before then, but after the show I had a 'real' reason to want one) I borrowed my friend's suitcase for that show. I needed one to be used at my table display at the shows. Now, there's quite a number of old suitcases out there and they are relatively easy to find, however, finding a good one is hard. I needed a very specific kind. Not too big, but big enough to display items in. It had to be a hardcover one, the soft ones are not sturdy enough. Even when you find one that meets these qualifications, there's this the color (both outside and in) and condition to think about. I'm not buying one to be ket close, so the insides need to be in good shape too. I'm so excited! (Unlike Chris who did not seem quite so impressed when I showed it to him. Oh well, he knew who he married) Ok, I need to properly clean and sanitize it first, then I'll be excited! So, what do you think? 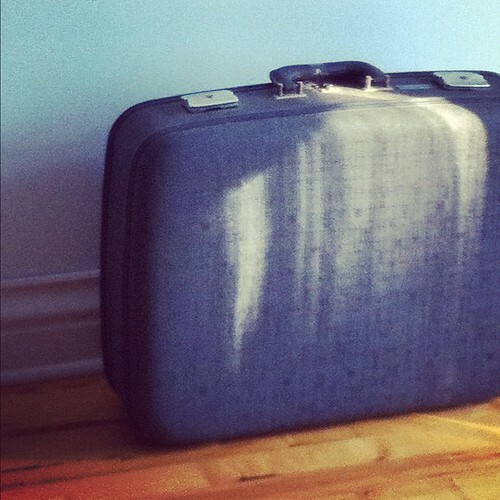 Yay or nay for my new, old suitcase? P.S. The manager of the store wished me "Bon Voyage, madame" after I purchased the suitcase. "Madame". In French it sounds kinda old, doesn't it? Love the suitcase. No idea what's the mademoiselle/madam cut-off though.